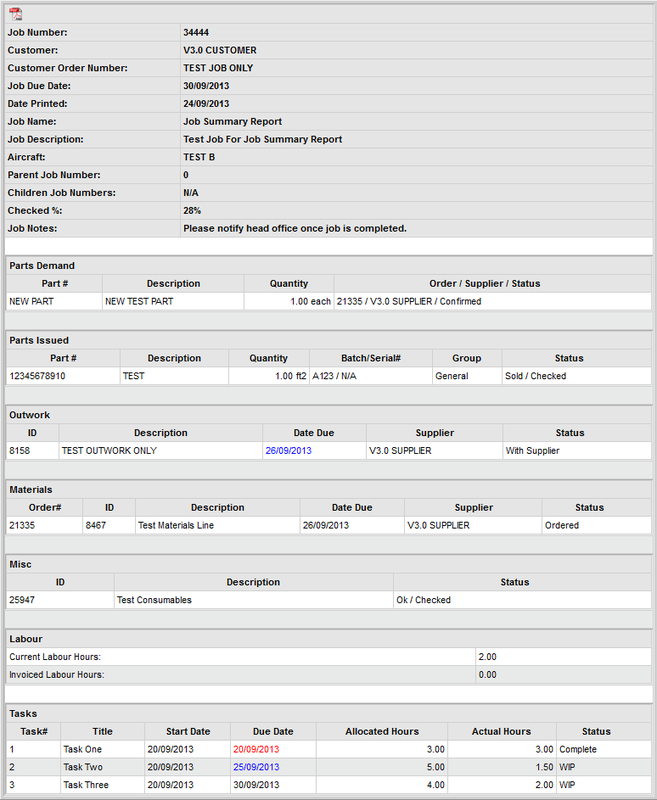 The Job Summary Report is located on the Job General Tab. This report is a summary of the entire Job - Parts Demand, Parts Issued, Outwork, Materials, Misc, Labour & Tasks. There are no costs or values on this report making it suitable for all users. Easily review what has been invoiced, what is still on order and what needs following up. If due dates are within the next 5 days they will display BLUE and if due dates are overdue they will display RED.